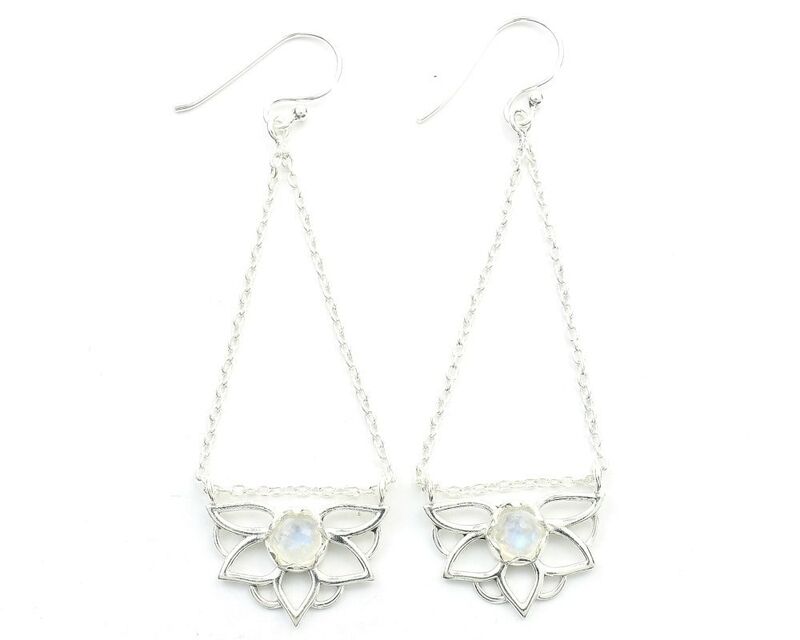 Beautiful sterling silver lotus earrings with moonstone accent stone. Lovely unique style hangs from long chain. Length With Hook: 2 3/4"